The Blackstone Valley Chamber of Commerce will hold its 34th Annual Meeting and Awards Ceremony at 7:30am on Wednesday, November 7th, at Pleasant Valley Country Club, 95 Armsby Road, Sutton, MA. We are proud to announce that the Keynote Speaker is the Honorable James McGovern. Because of redistricting we are thrilled that Congressman McGovern will be the new Congressional Representative to serve the Blackstone Valley. Since his election in 1996, Congressman Jim McGovern has been widely recognized as a tenacious advocate for his district, a tireless crusader for change, and an unrivaled supporter for social justice and fundamental human rights. Currently serving his eighth term in Congress, McGovern is a Minority Whip; is the second-ranking member on the powerful House Rules Committee, which sets the terms for debate and amendments on most legislation; and is a member of the House Agricultural Committee. In those roles, McGovern has secured millions of dollars in federal assistance for Central and Southeastern Massachusetts. McGovern is also co-chair of both the Tom Lantos Human Rights Commission and the House Hunger Caucus. Congressman McGovern will address his thoughts on the state of the State and the Union following the elections. There will be a short Q&A opportunity. 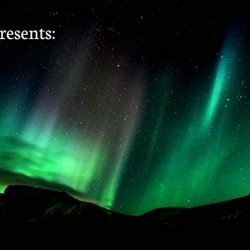 Awards will be presented to those individuals, nominated by their peers, who have exhibited outstanding contributions to the Blackstone Valley. 2012 award recipients are: in development of Tourism, Michelle Fontaine of Douglas, principal of LaMiche Productions; The Cornerstone Award presented to a new or expanded facility that brings economic value to the Blackstone Valley, winner in this category is Classic Envelope and the DeCaro Family for their development of the former Guilford of Maine Mill; Bill Fredericks, owner of AllCare Medical of Millbury will be awarded the coveted Gerry Gaudette Extra Mile Award, recognizing an individual from the public or private sector who has contributed significantly to an improved quality of life. 2012 Volunteer of the Year is Belinda Mazur, of Images by Belinda Mazur for her selfless contributions of time and talent to the BVCC. 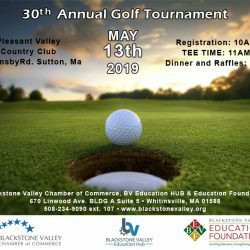 Register at www.blackstonevalley.org or by calling the chamber office at 508-234-9090 x 101.